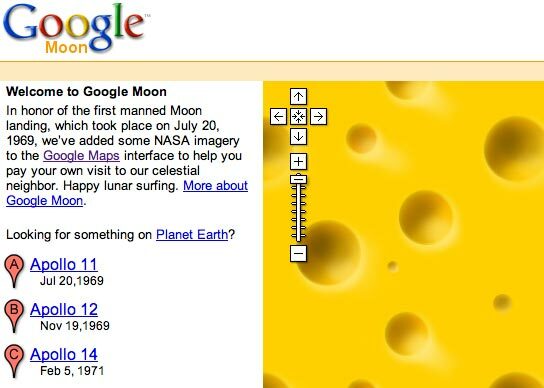 Ron asks: Why did people think the Moon was made out of green cheese? So other than lunatics and children who were told so by their parents via fables, nobody seriously ever thought the Moon was made of cheese. Another common misconception surrounding the Moon/green cheese thing is that the “green” here is referring to the color green. While there are actually green cheeses, what the “green” signifies here is “new” or “fresh”, so “the Moon is made of new cheese.” This was a common way to refer to cheese where the whey either hadn’t yet all been pressed out or had just been removed from the curds, in other words, cheese that has not been aged at all. So how did this “Moon is made of green cheese” thing all start and become popularized? It isn’t entirely clear who was the first to come up with the expression, but it became extremely common starting in the mid-16th century. The credit for the person to come up with the expression usually goes to famed French monk and scholar François Rabelais or English writer John Heywood. So basically, the expression itself simply was used to refer to something so ludicrous that only the extremely gullible would believe it. While in the early days it was used just to signify gullibility, in the last couple centuries many started thinking that people actually used to believe this, which is kind of ironic if you think about it. This is not unlike how people started believing that most thought the world was flat during the Middle Ages, when in truth in many parts of the world people have known the world wasn’t flat for well over 2000 years. Yet another Moon myth is that during the 1950s and 1960s, Americans were all crazy about getting to the Moon. In fact, according to Smithsonian space historian Roger Launius, during the early days of the Apollo program, the U.S. space program was one of the top government programs Americans listed that they thought should be dropped, with a full 60% of Americans feeling that the U.S. was spending too much money on space flight. Contrary to popular belief, there is no “dark side of the Moon”. The Moon has days and nights, just like Earth. One Moon “day” is 29 1/2 Earth days. This rotation coincides perfectly with its rotation around the Earth so that we always only see one side of the Moon. Coincidence? I think not! Wake up Sheeple! Seriously though, it’s not a coincidence. Also contrary to popular belief, the Moon is not round, but rather is the shape of a party hat with the round bottom pointed at us… OK, I made that up, but it really isn’t round, it has more of an egg shape… or does it? No really. It does. I’ll stop now. While there is still some debate on how exactly the Moon formed, one of the most popular theories is that the Moon formed from a collision between the Earth and a planet-sized object about 4.6 billion years ago, called the “Big Whack”. When the impact happened, a cloud of vaporized rock shot off the Earth’s surface and went into orbit around the Earth. Over time, the cloud cooled and condensed into a ring of small, solid objects which then slowly gathered together, eventually forming the Moon. The largest crater on the Moon is about 550 miles in diameter and is near the South Pole-Aitken Basin. The impact caused by the asteroid that formed this crater was almost powerful enough to split the Moon into pieces. The Moon used to have very active volcanoes. The dark areas of the Moon, called maria (meaning “seas”), are cratered landscapes that were flooded with lava, which then froze forming smooth rock areas that resemble, from a distance, bodies of water on Earth. The Moon has a surface area of about 14.6 million square miles, which is about 92.6% less surface area than the Earth has. This is about 4 times the surface area of the United States. The gravity on the Moon is about 17% what it is on the Earth. So if you weigh 180 pounds on Earth, you will weigh about 30 pounds on the Moon. If you ever landed on the Moon, you’d need to accelerate to 5,324 mph in order to escape the Moon’s gravitational pull. This is about 21.3% the speed you’d need to reach to escape the Earth’s gravitational pull. Jack Schmitt, an Apollo 17 astronaut, has the distinction of being the first known human to have extraterrestrial hay fever. After returning to the lunar module and taking his helmet off, he had an instant reaction to the Moon dust with his nose stuffing up quickly. This lasted a couple hours before going away. According to Schmitt, he wasn’t the only one to experience this, but pilots don’t like to admit to any adverse symptoms or they think they’ll be grounded. If you’re curious, several astronauts say that fresh Moon dust smells like spent gunpowder. Another slightly popular “Moon myth” is that people can go temporarily crazy and/or that more criminal acts occur during full moons. There have been numerous studies done to try to see if there is actually a link between the phases of the Moon and mental illness and the like, but, not surprisingly, to date nobody’s been able to find any such connection. The word “lunatic” ultimately comes from the Latin for “moon”, “luna”, via the Old French “lunatique”, meaning “insane”. It first popped up in English around the 13th century and referenced the mistaken belief that the Moon can make people crazy. In 2002, a 72 year old Buzz Aldrin punched Bart Sibrel who is a “we never landed on the moon” conspiracy theorist, “documentary” maker, and cab driver. Sibrel invited Aldrin to a hotel with Sibrel telling him he was making a children’s TV show on space. Once Aldrin arrived at the hotel, Sibrel pulled out a Bible and tried to get Aldrin to put his hand on it and swear that he had walked on the Moon. Needless to say, Aldrin was pretty irritated at this point. Things got worse when Sibrel called Aldrin a “liar” and a “coward”, at which point Aldrin punched him. Lucky he didn’t also call him a poltroon, or Aldrin may have pulled a “President Andrew Jackson”, who once killed a man for calling him a “scoundrel, poltroon, and a coward”. How Did the Moon / Green Cheese Myth Start? Sumeric civilizations. Digging into memory…maybe her name was Noot, or Nut. Of course, she’d give milk, and then it would ferment…evenually ‘green’ cheese. Voila…there is is. You CAN call it the moon if you want to.